The evolutionary cycle that is currently gripping the pet industry is now on full display, impacting all segments and all market participant. The market is no longer benefiting from historical growth drivers as new influences overrun incumbent paradigm. Notably, pet food prices have experienced deflation throughout 2017, and this pattern is projected to continue. However, increased risk associated with the current operational paradigm will also drive a flight to quality and elongate deal cycles due to increased scrutiny. When multiples are elevated, marginals deals are more likely to fail due to associated risk discounts. We expect buyers to search for companies with meaningful barriers to replication – brand, intellectual property, access to alternative sales channels, or proprietary products. Services are increasingly driving the growth of the pet industry. 2. As anticipated, Blue Buffalo launched into FDM. 3. Digital distribution is accelerating and changing the competitive landscape. 4. Supply chain integrity/sourcing are becoming a meaningful form of differentiation. In short, we are living in interesting time. For a full copy of the report contact me directly. Within the capital markets, ecommerce is of the hottest areas for growth and private equity investors. The favorable bias from the investment community stems from the belief that online vendors can provide consumers a more compelling shopping experience than premises-based alternatives. More compelling in terms of selection, price, and convenience. Ecommerce retailers in shoes, books, groceries, diapers, electronics, furniture and a host of other categories are taking a bite out of the pocket book of bricks and mortar retailers. Further, the first ecommerce generation is growing up and their comfort with the online consumer experience coupled with their growing purchasing power is driving category growth. That all being said, the pet industry has not been a central participant in ecommerce revolution. The overarching issue was that 50 pound bags of dog food are not cost effective to ship to consumers. Therefore a dog owner, who had to seek out a premise-based retail concept for his best friend’s staples was much more likely to satisfy as much of his pet basket through a trusted retailer offering a one-stop-shop environment. And now you know what Petsmart’s stock price has done so well over the past three years. In fact, the only pet segment that seems to have benefited from the ecommerce revolution is pet health. The ability to eschew a vet visit in order to get flea and tick and other remedies enabled 1800-Pet-Meds to go public in 2004. A number of start-ups attempted to leap into the void. Most memorably was pets.com, funded in part by Amazon.com, which launched in February 1999. After considerable success the company jumped the shark with its 2000 Superbowl advertisement. The company was out of business by the end of the year. Pet based ecommerce has been rather dormant since then with the pet majors doing just enough to limit the potential for new market entrants — until now. On July 6. 2011, Amazon.com, through its subsidiary Quidsi, Inc., better known as diapers.com, which was acquired nearly 10 years to the day after the demise of pets.com, launched wag.com, a comprehensive ecommerce portal for all things pet. As an example, wag.com offers 44 brands of dry dog food, ranging from the mainstream to the obscure. The site will have over 10,000 products for dogs, cats and a variety of other small companion animals. Of greatest significance, the site leverages Amazon’s warehouse and distribution capabilities and shipping rates, enabling them to offer free shipping on all orders greater than $49, no exclusions. Notably, the food I give my dogs is cheaper through wag.com after sales tax than through my pet specialty retailer. However, I have no intention of switching. Wag.com is not alone in petstuffonline.com 2.0, one day after wag.com launched, Lightspeed Ventures announced it had invested $10 million in Petflow, LLC, manager of the petflow.com website. Petflow is in fact the old pets.com. Petflow raised $5 million in 2010 from Westwood Ventures, and is reportedly moving over 500,000 pounds of petfood a month. Further, on June 29, 2011 Pet360, an information and ecommerce site for pets raised $18 million from Updata Partners and LLR Partners. Pet360 operates petfooddirect.com and nationalpetpharmacy.com two of the more established ecommerce players in the pet space. The winner is this new movement is the consumer, who benefits from more choice and greater access to specialty brands in a high convenience format. The ability to access all your pet needs online without be burdened by unreasonable shipping costs should give the pet majors some heartburn. The opportunity to eschew the poor service of a big box retailer as well as save time and travel expenses is also compelling. The biggest question is can these sites make money. The vast majority of site traffic, and therefore potential customers, will be driven to these properties through search engine optimization — the buying traffic through Google and friends based on paying for placement of a site when specific key word searches are entered (“pet food delivery” as an example). As competition increases, so too does the cost of the most attractive key word alternatives. Major ecommerce sites generally run at EBITDA margins of between 3% – 6%, leaving little room for real profits (Amazon is the gold standard at long term average of 6%). Notably, CSN Stores, which runs over 200 ecommerce micro-sites (luggage.com, furniture.com, etc. ), recently raised $165 million from five equity investors to expand its footprin. It’s margin profile does not approach that of Amazon’s despite over $350 million in sales. In short search engine and offline marketing will eat up a healthy percentage of these sites’ margin profile. Then one must consider the fact that price and loyalty competition is surely to ensue as site and online vs. offline formats compete for market share. 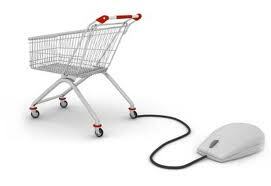 Ecommerce provides customers the ability to get their product of choice at the lowest cost if they choose. Most sites offer significant concessions to win a customer’s first order, with the hopes of locking them in long term, ideally through an automatic food reordering program. As an example, you literally cannot buy something off petfooddirect.com without be offered some form of discount. As product providers begin to assert themselves with respect to minimum advertised price, which enables product vendors to ensure that no one channel has an advantage over the other, these discounts will take a bite directly out of the sites operating margin. Finally, the shipping dilemma remains a major hurdle. Surely Amazon has the best logistics infrastructure, but eating the cost on delivery for a 50 pound bag of dog food in a competitive category is not sustainable long term. These vendors must believe that pet food has enough margin to absorb most of this expense, and that over time they will be able to provide consumers with an increasing percentage of their pet purchasing basket, enabling them to operate profitably. I suspect it will work for some, but not all.